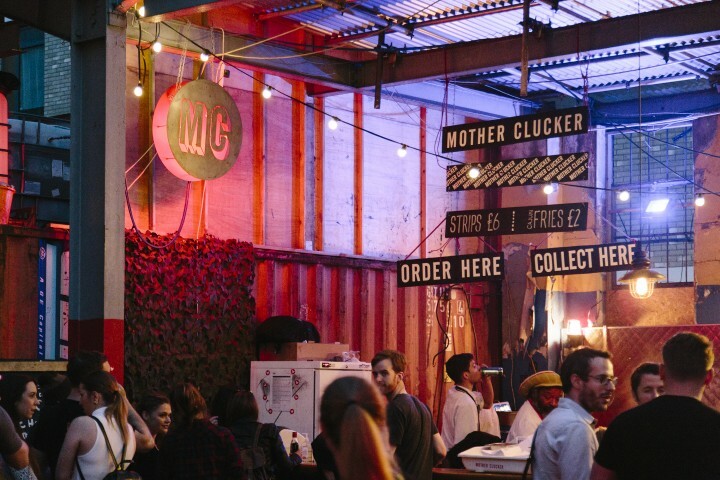 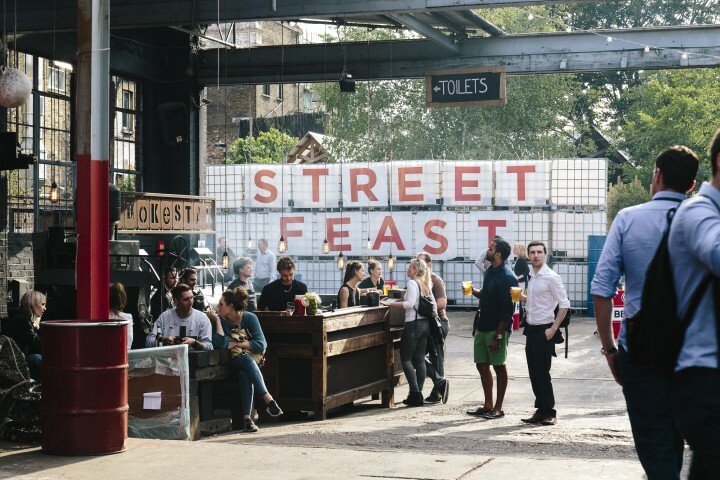 ﻿ Mother Clucker / Street Feast | not tom. 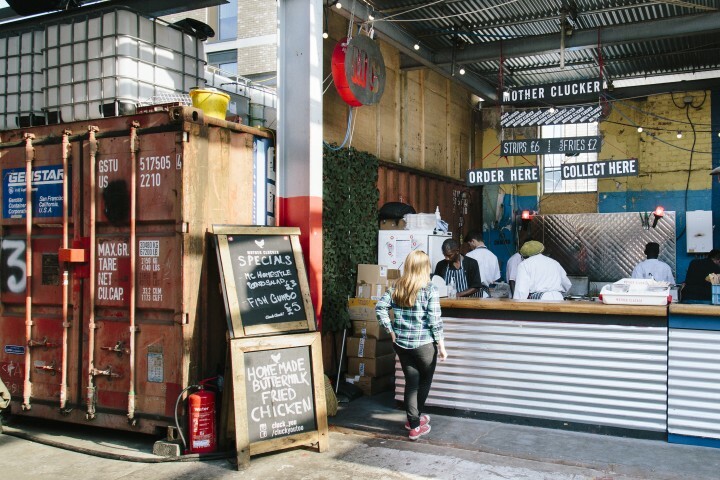 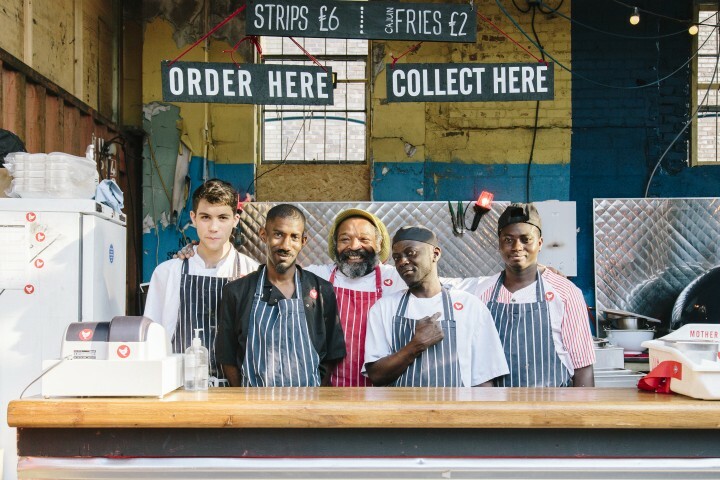 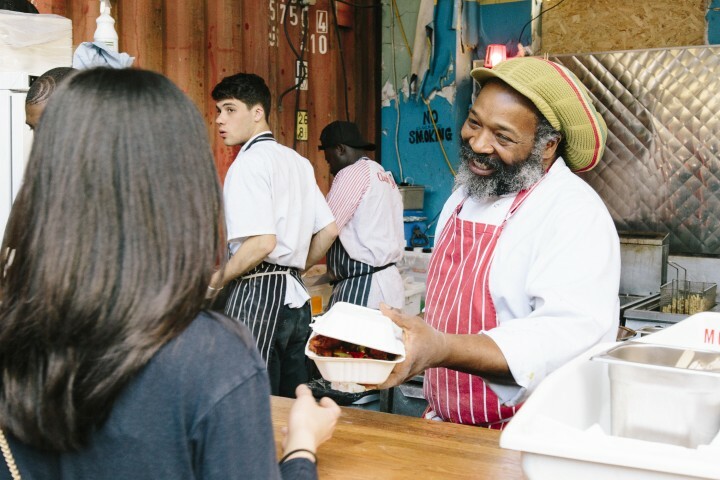 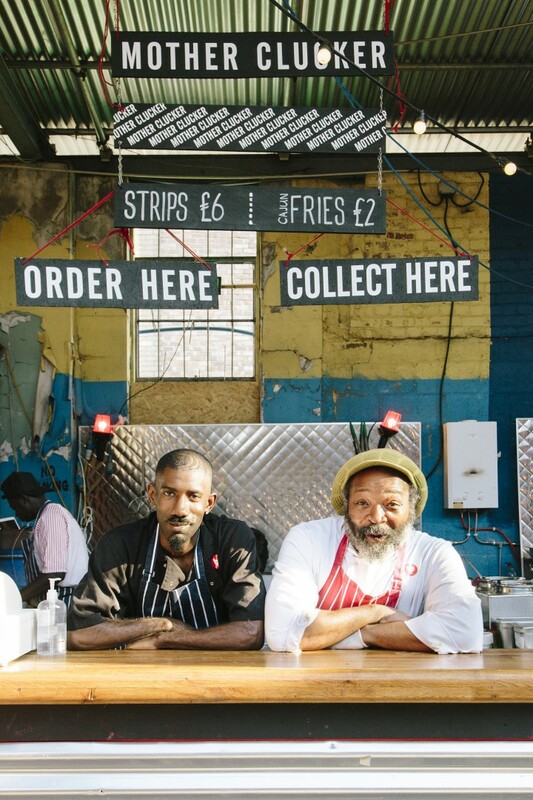 Our friends Mother Clucker tasked us with another project – to build them a unit for their involvement in the Dalston Yard Food Festival. 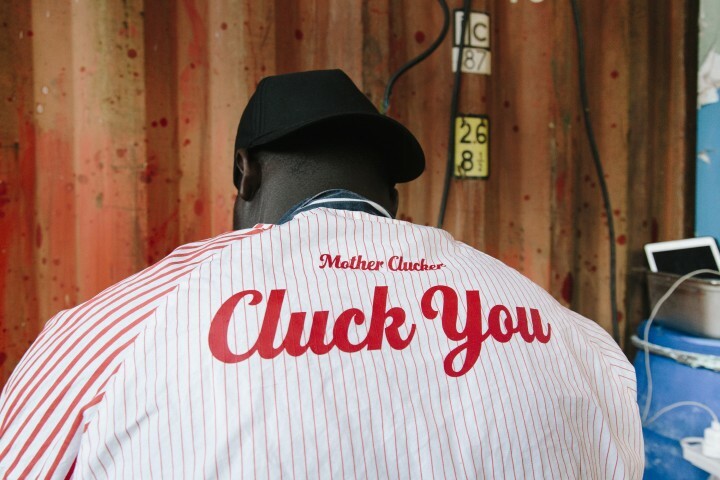 Rather than having their reliable Cluck Truck to serve from, they needed to use the space given but ensure it had the ‘Mother Clucker’ feel. 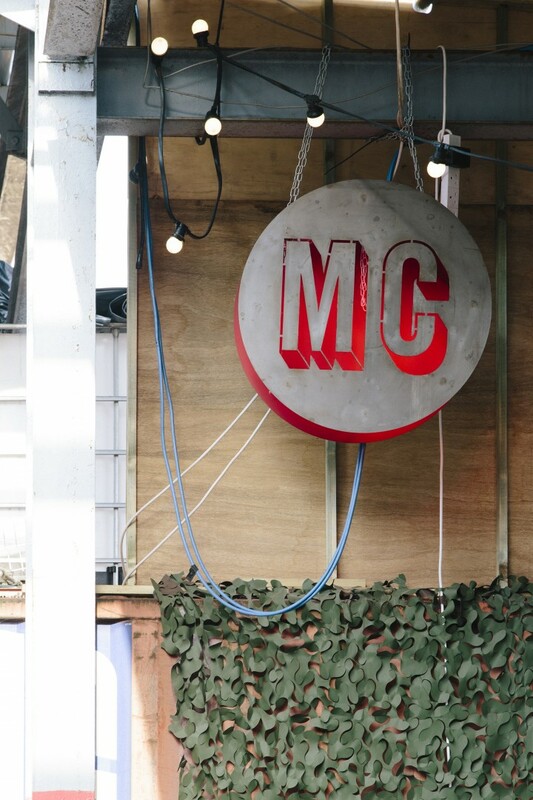 We designed and produced a custom sign for them – a roundel with their initials MC on it – that branded the area and also lit up the space an on brand red shade in the evening.